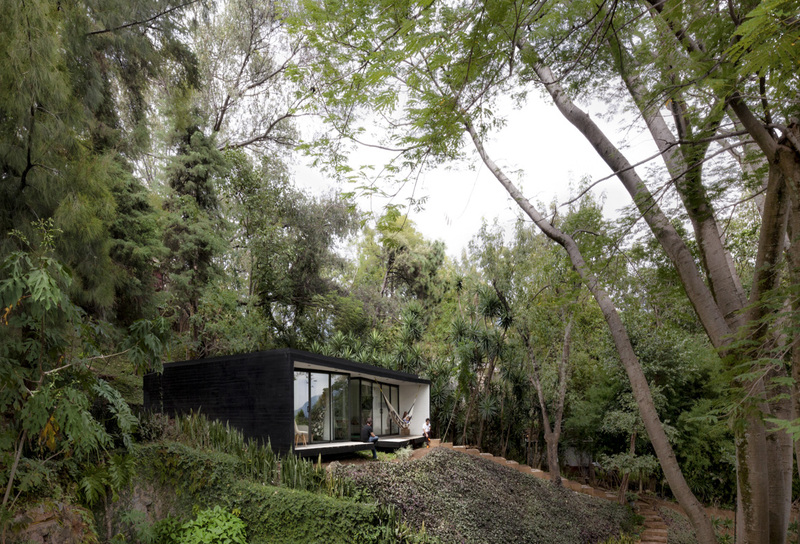 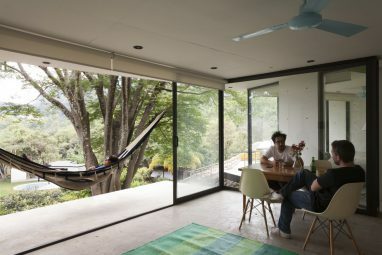 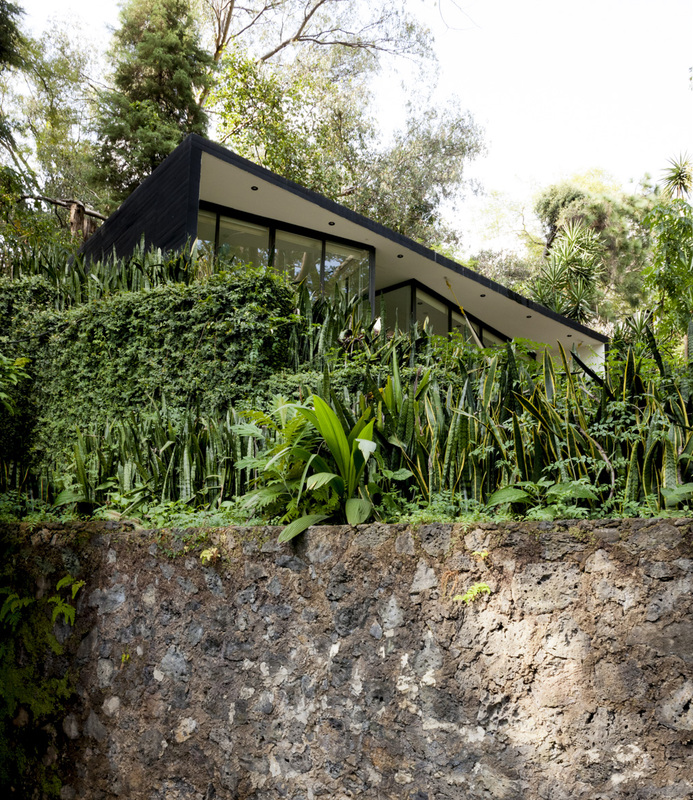 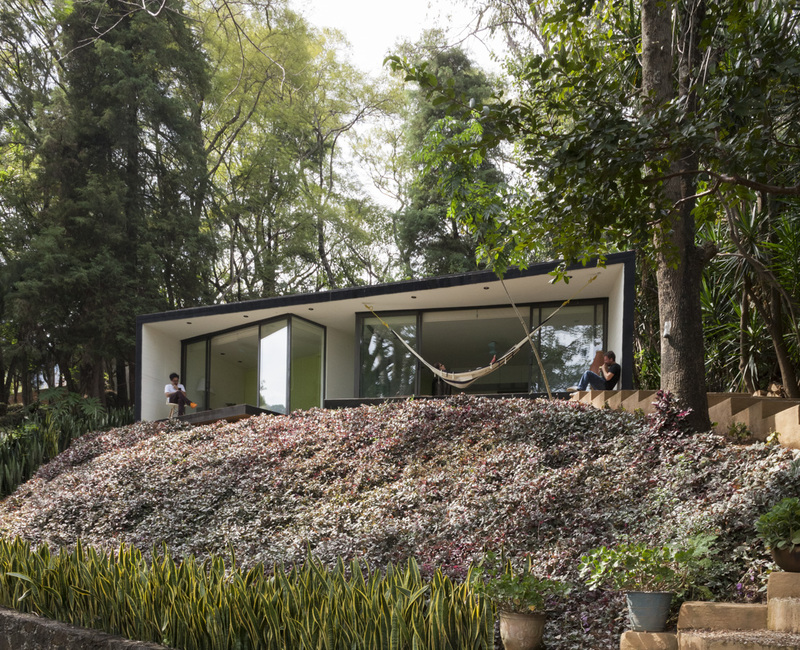 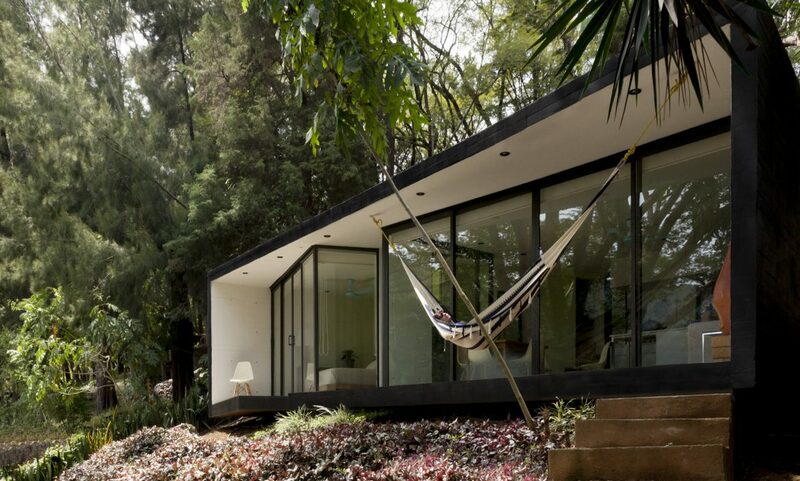 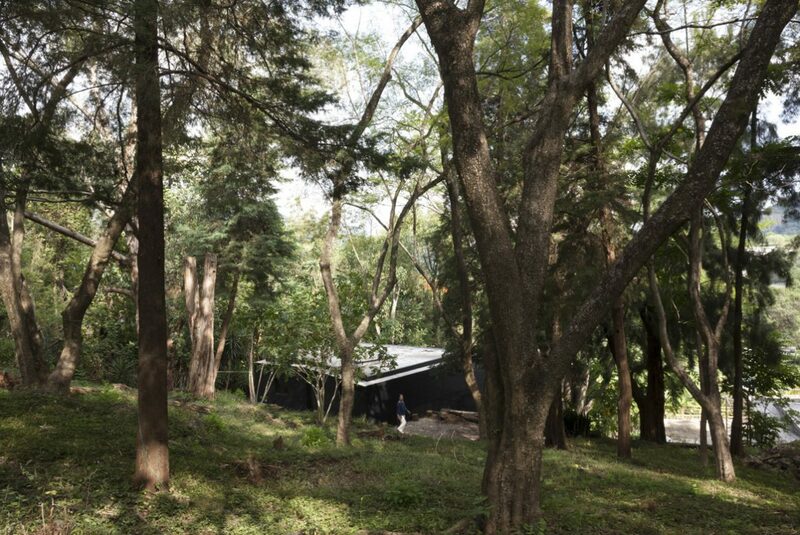 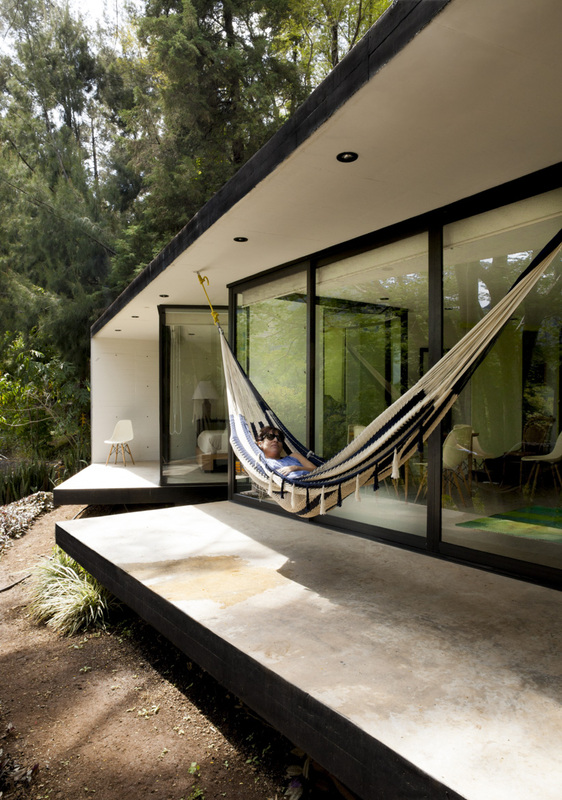 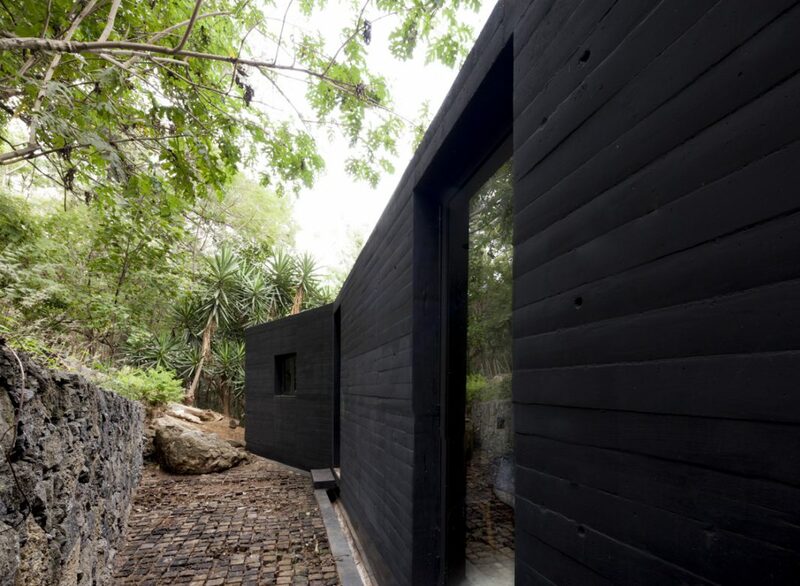 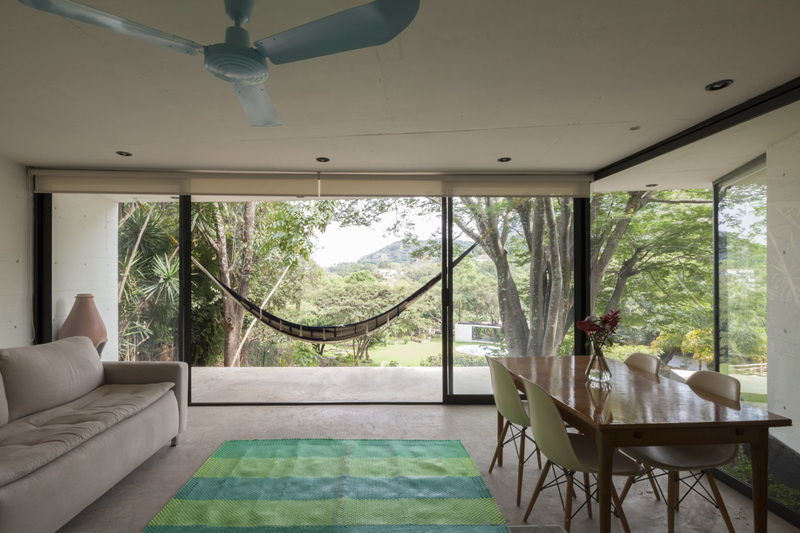 The bungalow is the first of a series of cabins to be built over a spectacular site in Tepoztlán, a small paradise located at about 50 km from Mexico City. 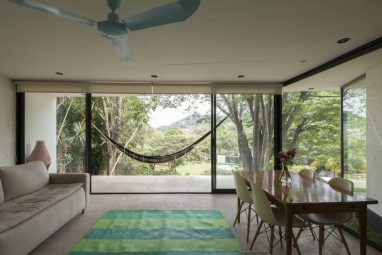 The town has fantastic weather conditions, and a unique character built thru its pre-Hispanic origins that were followed by a colonial center that is still the heart of the village; its charm attracts the presence of intellectuals and thinkers to stay over the weekend, or for longer periods of time. Exposed to the breathtaking views of the valley and the common area of the property, this contemporary cottage is located on a leveled surface already existing within the forest that occupies the site. The building is a small box that hovers over this plain, opening to the views and interacting with the steep slope of the terrain below. It is built on concrete seeking for low maintenance, and with the outer shell painted black to minimize the visual impact on the landscape. 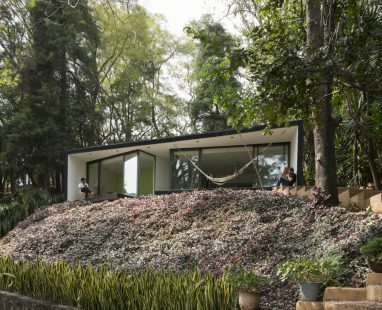 It is a framed box with its sides shut to maintain privacy with the succeeding bungalows, but fully open to the frontal views. 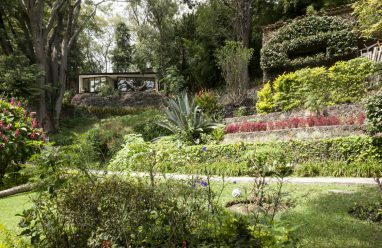 The project aims to reinforce the belvedere condition in each of its main spaces.